Problem: Using Patran/MSC Nastran calculate the displacement of a cantilever beam subjected to a force of 10 lb on its free end. The beam dimensions are 12" x 1" x 0.1". The beam is made of an isotropic material with an elastic modulus, E, of 30×106 psi and a Poisson's Ratio of 0.3. Step 1 - Create a new Patran database. 1) Click on New from the File menu or from the Defaults Toolbar as shown. 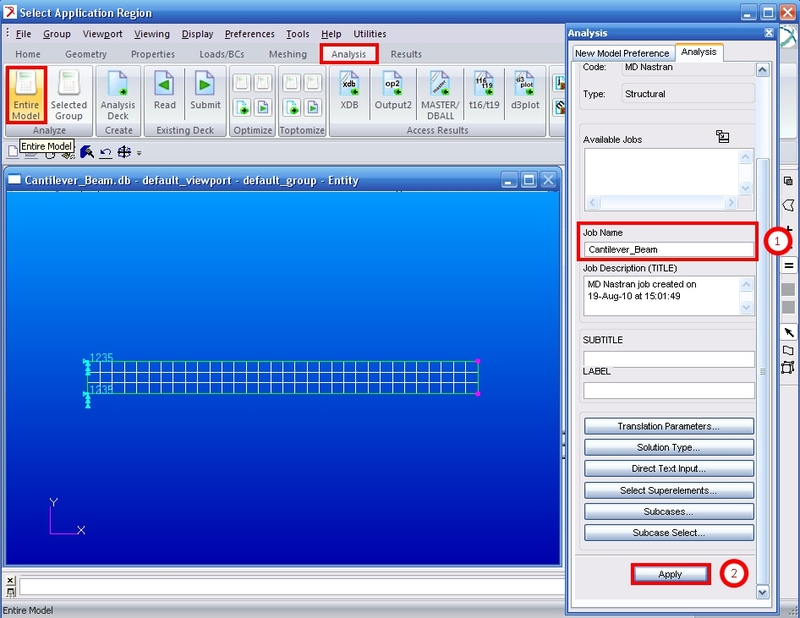 Type the name of the new database as Cantilever_Beam and click OK.
2) Type the name of the new database as Cantilever_Beam and click OK. Step 2 - Create the geometry of the beam using the information from the problem statement. 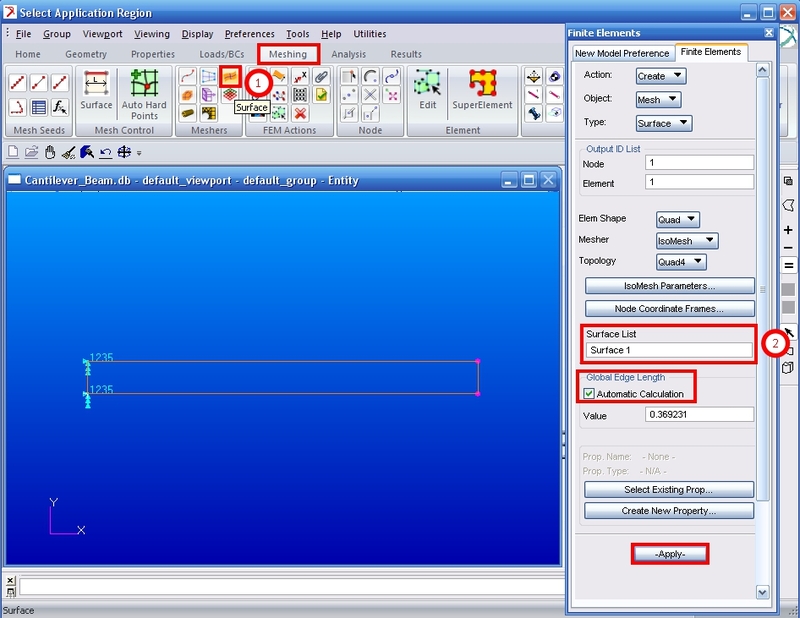 1) Under the Geometry tab, click on Surface and select XYZ. 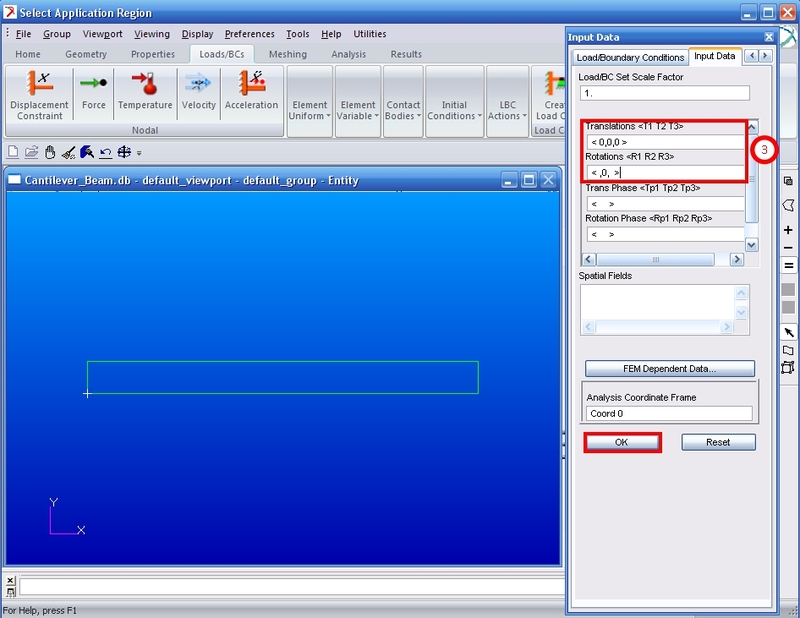 2) Input the vector of <12 1 0> in the Vector Coordinates List and click Apply. There are no units in Patran, and therefore it is important to stay consistent in units. Step 3- Create the isotropic material: elastic modulus of 30×106 and a Poisson's Ratio of 0.3. 1) Under the Properties tab, select Isotropic. 3) Input 30×106 as the Elastic Modulus and 0.3 as the Poisson's Ratio. Click OK and Apply. Step 4 - Create a 2D surface physical property and apply the isotropic material to the model. 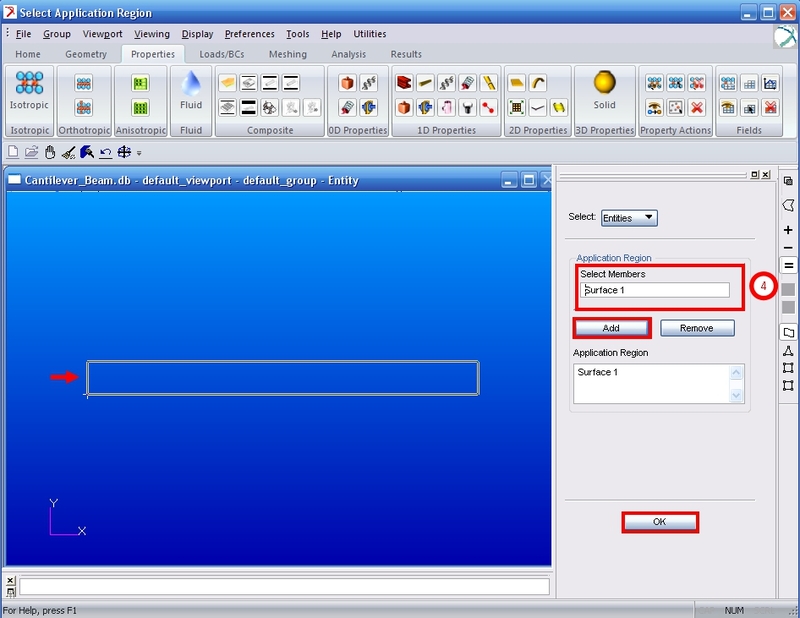 1) Click on Shell under the 2D Properties section. 3) Click on Select Material and select steel. Enter 0.1 as the Thickness. Click OK. Step 5 - Create boundary conditions: Constrain all translational degrees of freedom and the y-axis rotation degree of freedom along the left end of the beam. 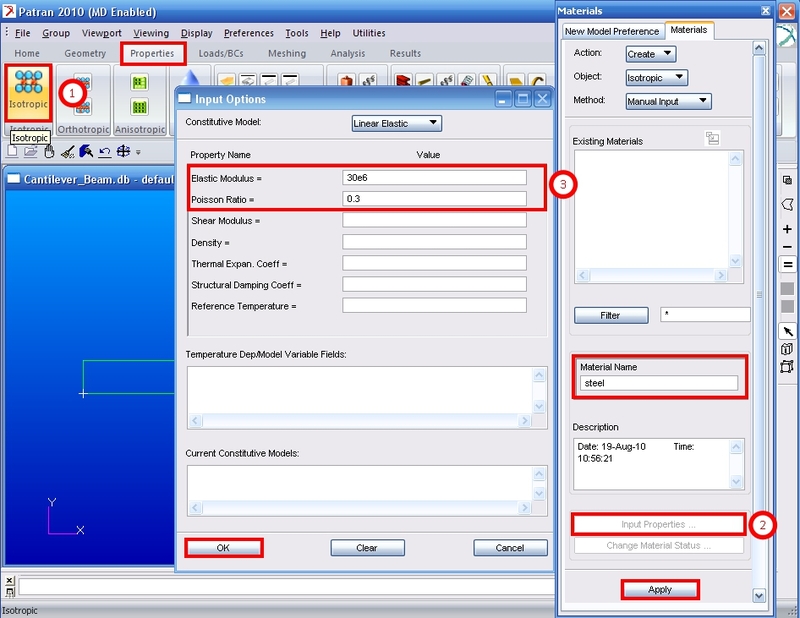 1) Under the Load/BCs tab, select Displacement Constraint. 3) Input <0,0,0> for Translations (to prevent any translational movement) and < ,0, > for Rotations (to prevent rotation in the y-direction). 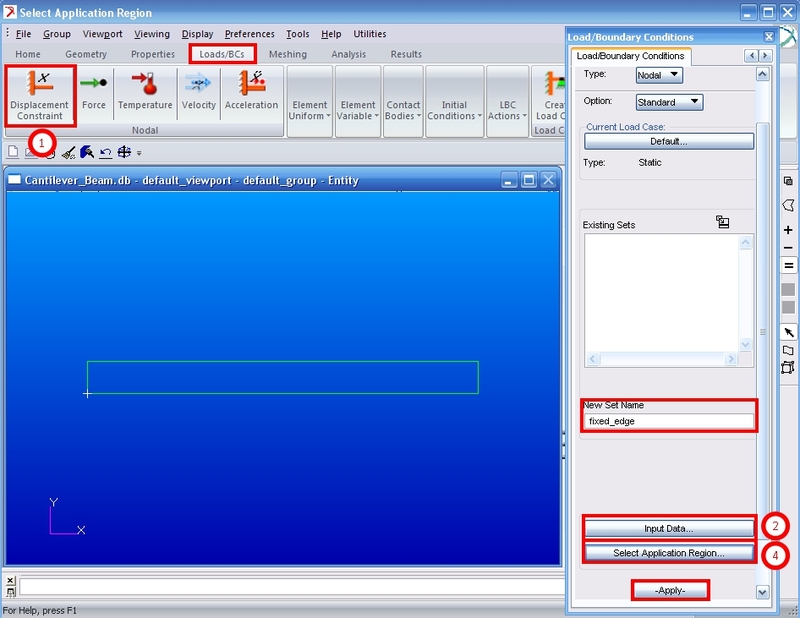 Click OK.
4) Click on Select Application Region and then click on the Select Geometry Entries box. 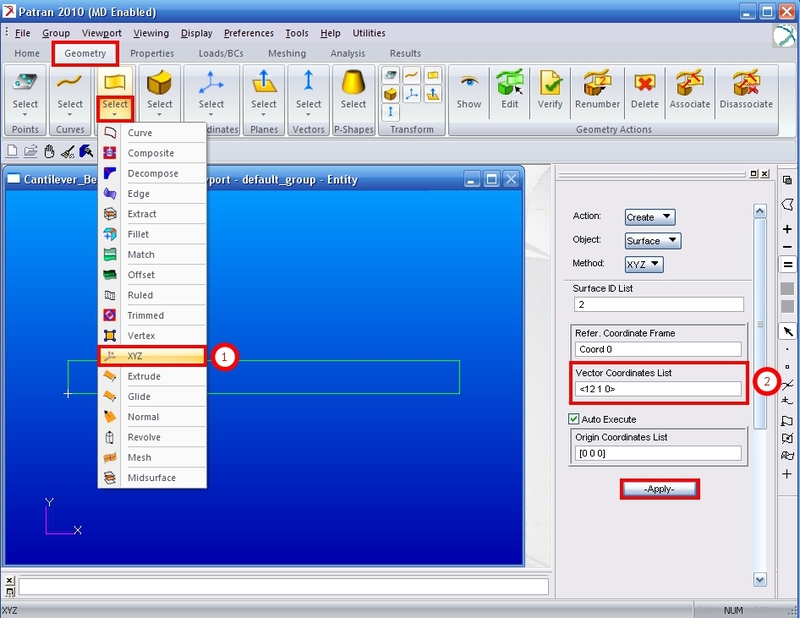 In the selection toolbar, select Curve or Edge. Screen select the left edge of the surface. Click Add, OK then Apply. Step 6 - Create the load of 10 lb, provided in the problem statement. 1) Click on Distributed Load under the Element Uniform section. 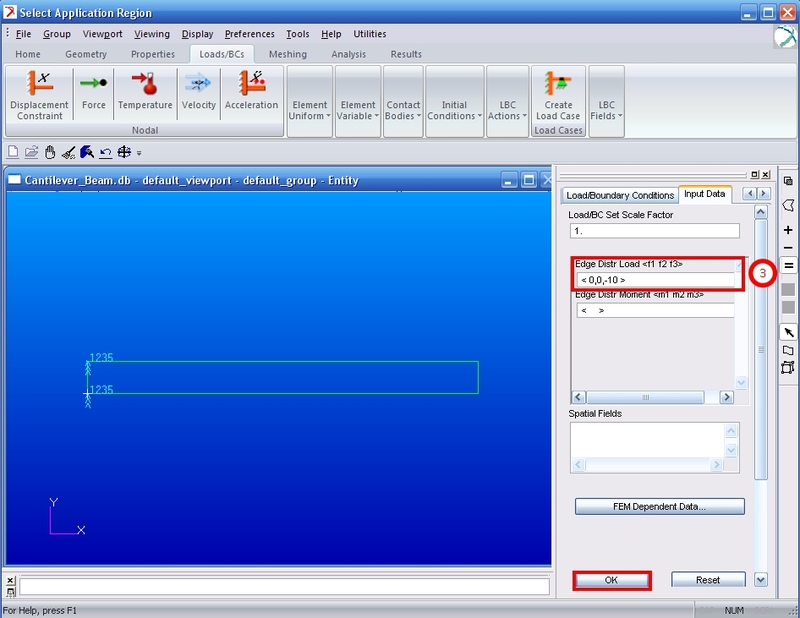 2) nput z_load as the New Set Name and set the Target Element Type to 2D. 3) Click on Input Data... and input <0,0,-10> as the Edge Distr Load. 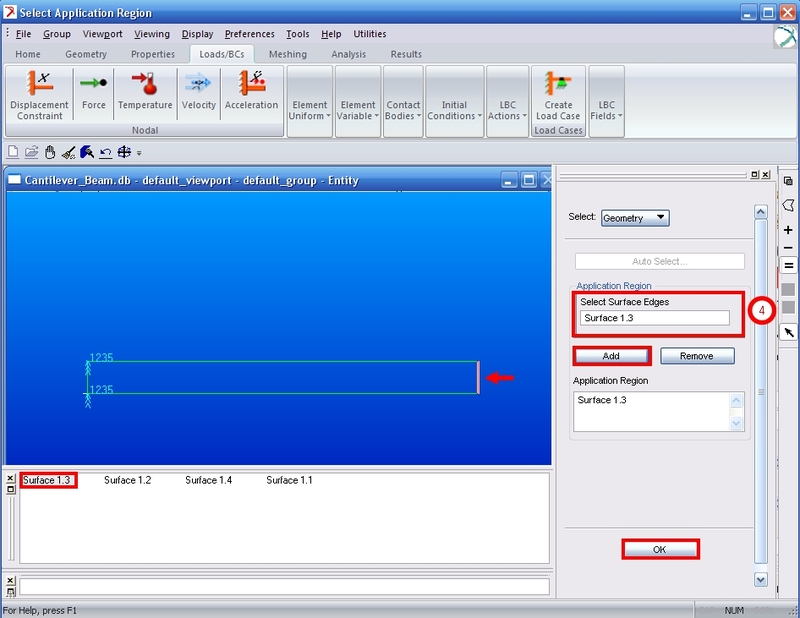 Click OK.
4) Click on Select Application Region and then click on the Select Surface Edges box. 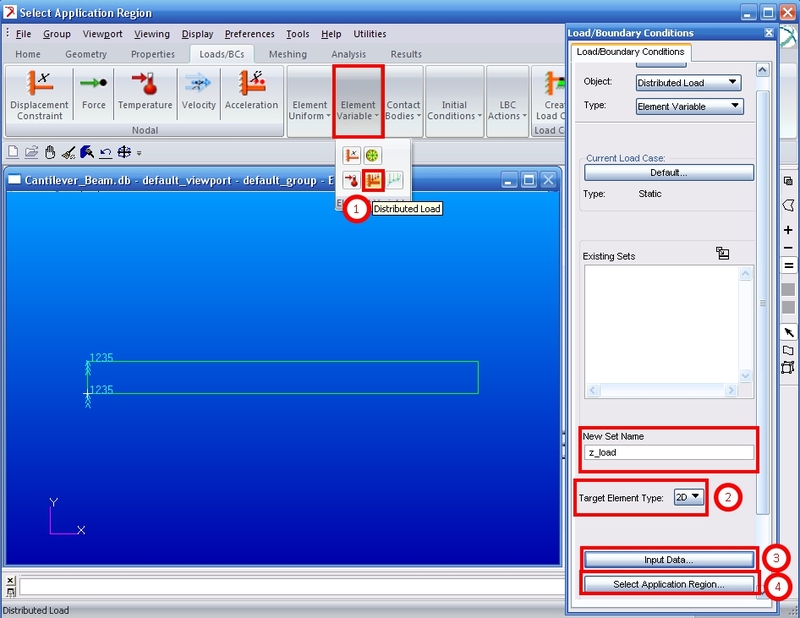 Screen select the right edge of the surface. Click Add, OK then Apply. 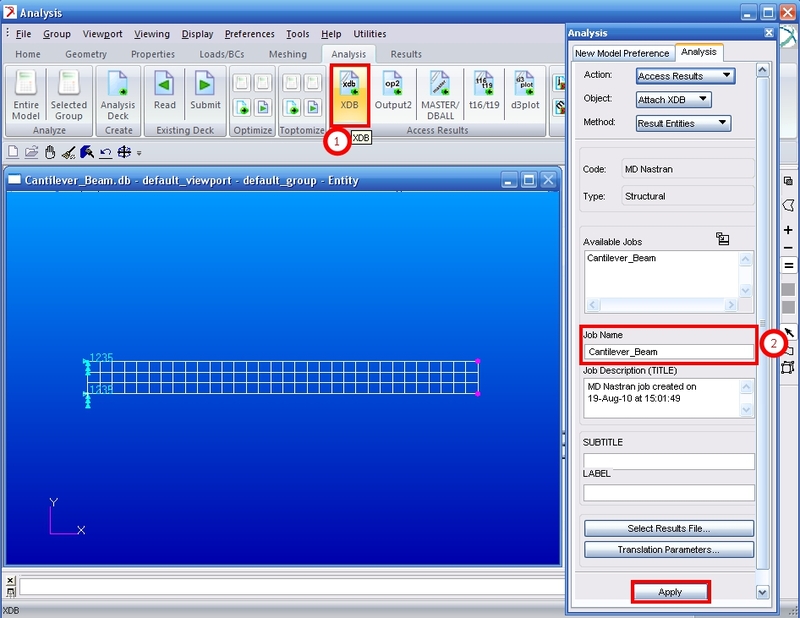 Step 7 - Create a finite element surface mesh using the Automatic Global Edge Length. 1) Under the Meshing tab, click on Surface Meshers. 2) Click on the Select Surface List box. Screen click the surface. Click Apply. 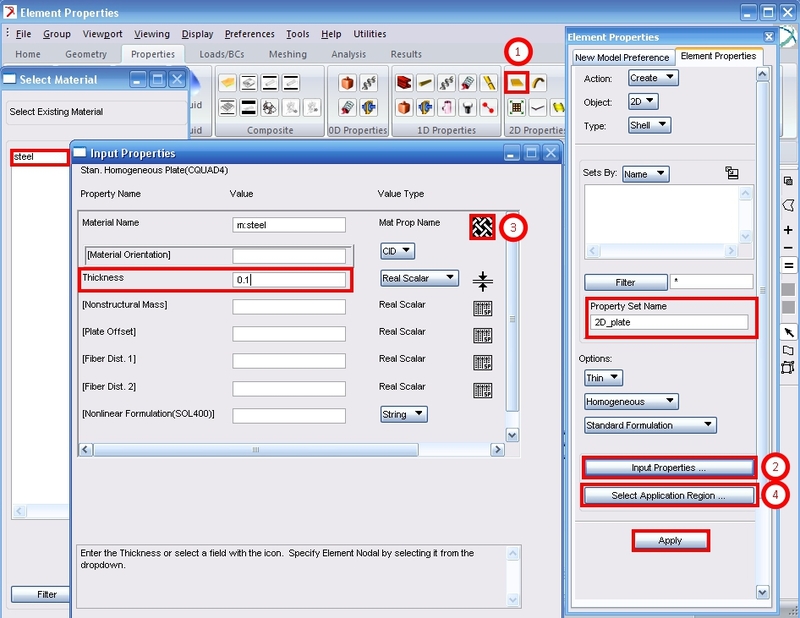 Step 8 - Run a linear static analysis using MSC Nastran. 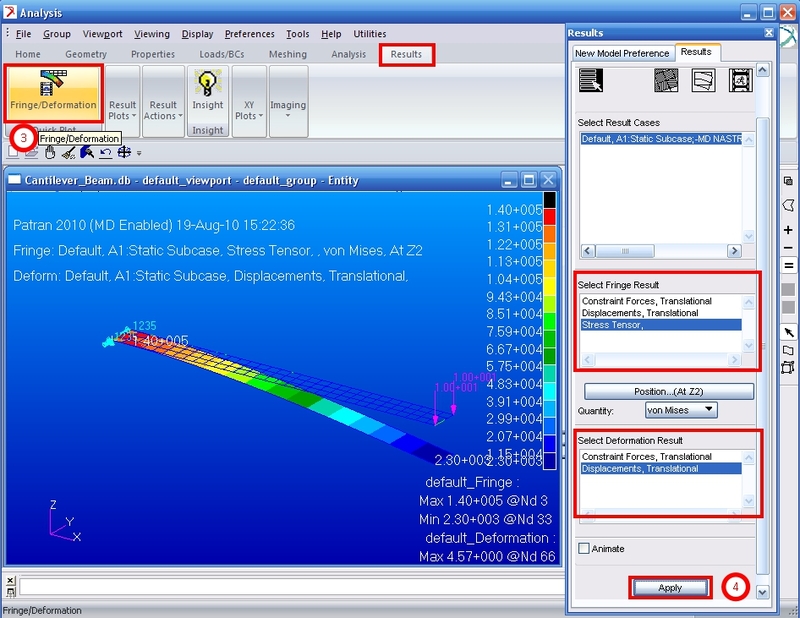 1) Under the Analysis tab, select Entire Model. 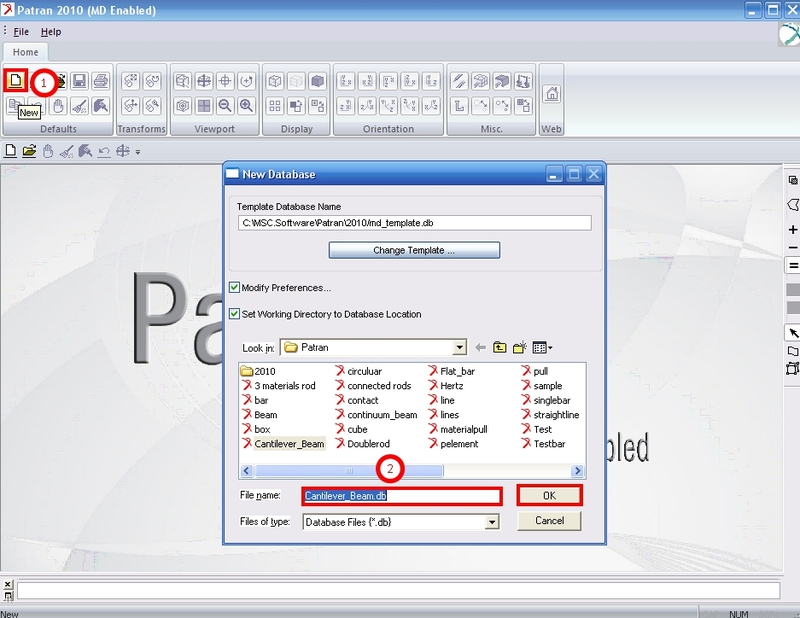 Ensure that the Job Name box is filled with a name and click Apply. Step 9 - Attach results file, then create fringe and deformation plots. Record maximum displacement and stresses. 1) Click on XDB under the Access Results submenu. 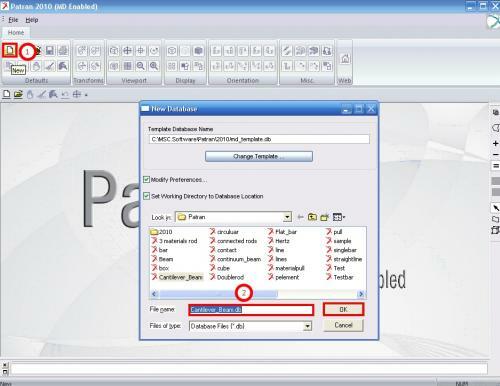 2) Ensure the appropriate Job Name is selected and click Apply. 3) Under the Results tab, select Fringe/Deformation. 4) Plot Stress Tensor and Displacements, Translational. Click Apply. Analytical Conclusion - Verify the result by calculating the analytical solution. 1) Substitute: P=10 lb, L=12 in, E=30e6 psi, I=[1×(0.1)3]/12 in the equation below. To make the answers more precise, local shear effects must be taken into account. Create The Result and Charts for Projectile Motion.